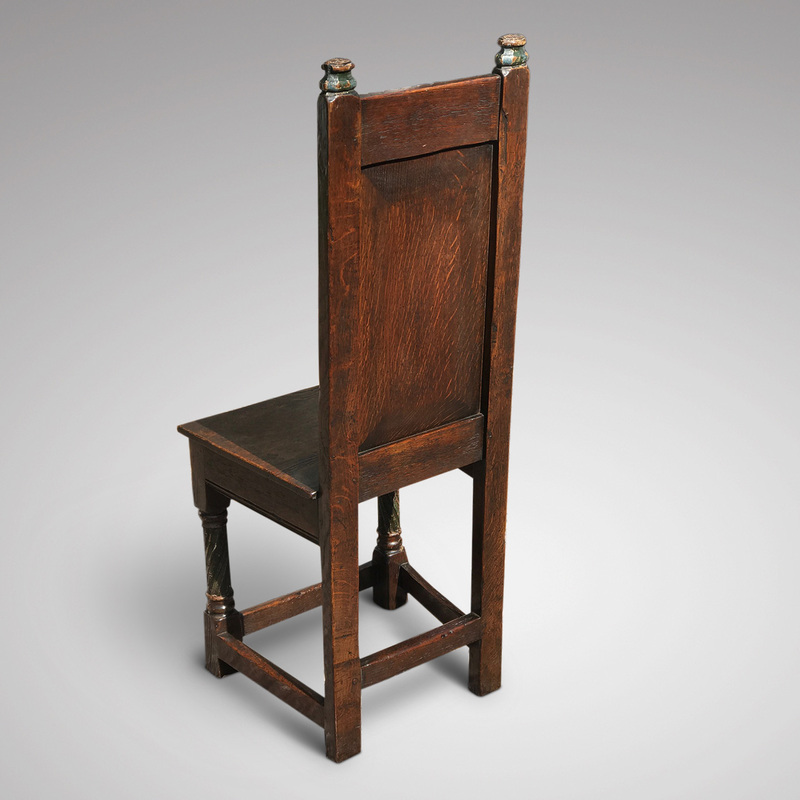 A most unusual oak carved and painted side chair dating from the 18th Century. Possibly Dutch, this fabulous chair is raised on twist turned legs with traces of the original paint, terminating in block feet. The square sectioned stretchers form a rectangular undercarriage. 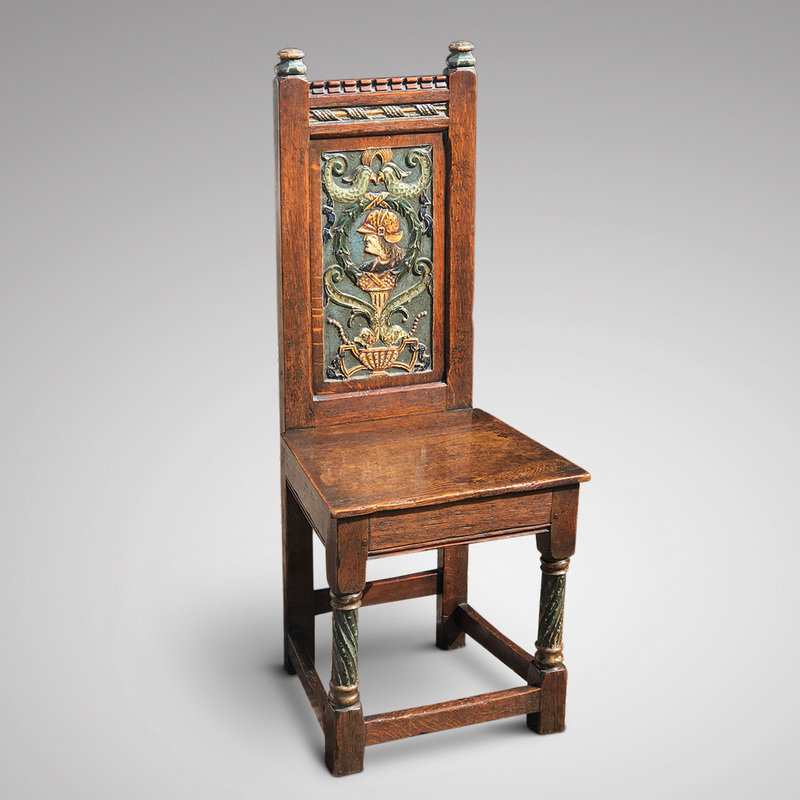 The seat is solid, beautifully grained oak.The back has angular finials, retaining their original paint, a dentil cresting rail and a wonderful carved and painted panel with a military figure set within a laurel wreath and flanked by superb stylised fish, fruit baskets and scrolls. 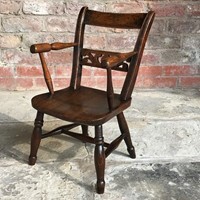 The chair has traditional peg joints, is in very good condition with no wobbles. The colour and patina are excellent. 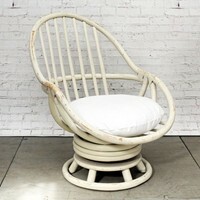 A rare and unusual chair that would add style to any interior.